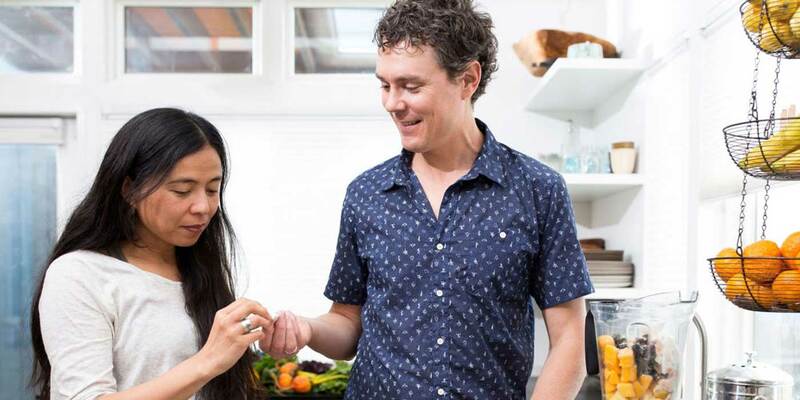 Scott Jurek tinkers around his kitchen in Boulder, Colorado, making breakfast for himself and his wife, Jenny. It’s sprouted grain cinnamon raisin toast, coconut-based peanut butter, and a dairy free, cream cheese-like spread, plus a couple of organic oranges. The vegan ultrarunner made a name for himself winning the Western States 100-Mile Endurance Run seven times in a row—between 1999 and 2005—and, more recently, made national news by breaking the speed record for 2,178-mile Appalachian Trail, which he completed the summer of 2015 in 46 days, 8 hours and 8 minutes. 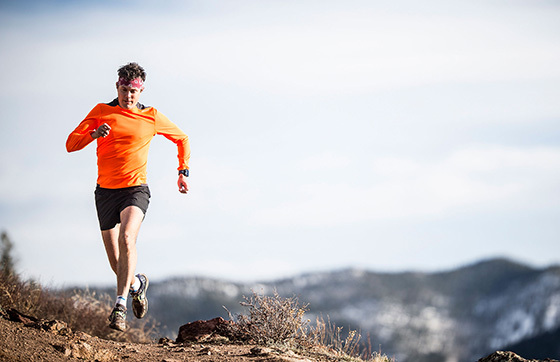 Jurek is also known for his role in the book Born to Run (by Christopher McDougall), and for authoring his own book, Eat and Run, which chronicles his path to becoming one of the best endurance athletes in the world ... as a vegan. How would you describe your current relationship to running? 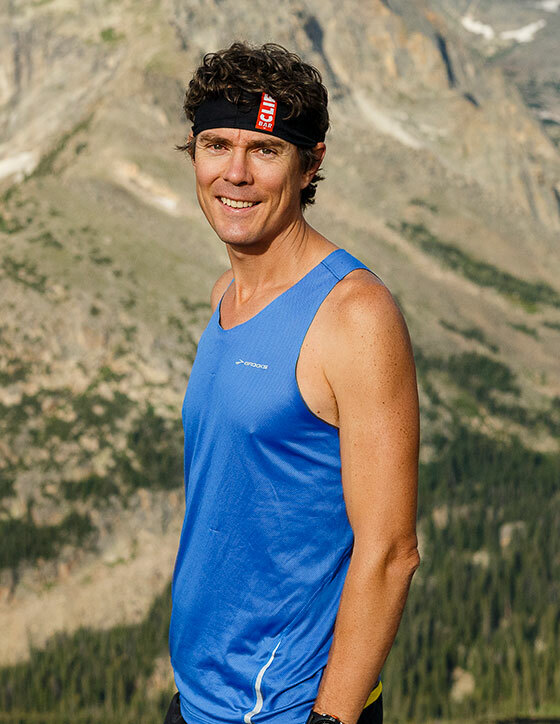 Scott Jurek: It’s been a passion. It didn’t start out as a career, but then it evolved into a part-time career. I’ve always worked a job in addition to being an athlete. I’m at a phase that some people call ‘retirement.’ I don’t like to use that word. I’m in a new phase. I’m phasing into a new aspect of running. What I’m trying to do is to make sure that passion and that drive is still there, whether that means just getting out for an hour run every day, or tackling some big project like the Appalachian Trail. And then I have to do all the other things: Speaking, writing, working with sponsors. It isn’t so results-driven right now. It’s more evolving. I don’t look at it as a retirement. It’s an evolution. What was running like for you in the beginning? SJ: In the beginning, I think it was love/hate. I didn’t love running, initially. I didn’t come into it from a cross-country background in high school. I dabbled in it in college. For me, it was a newfound love for something that had kind of been in my life, but running became a new awaking, so to speak. It was a way for me to explore athletic accomplishments but also my environment and surroundings, which is why I found trail running. Then, pretty quickly, I was exploring the world. But besides the athletic pursuits, I try to look at a bigger picture now. If you had to summarize your values, how would you do that? SJ: For me, it’s about integrity and authenticity, because I truly believe that running and eating a plant-based diet is a great path…not just for me, but for other people. I was always tinkering with training, but also following this new lifestyle diet choice that I made. Authenticity: For me, that means exploring new paths and trying something new. Because, jumping off the deep end and going into an ultramarathon at age 20 is kind of a big shift. And then, five years later, adopting a plant-based diet, there’s a big learning curve. I think for me, like who I am as a person, I’d say I’m somebody who’s passionate about living, exploring, and learning…But also, being humble and not having all the answers. I’d like to think I’ve learned a lot over the years but, that’s what I love about the two areas that drive me now—running and food—there’s always something new to learn and new to explore. Jenny, how do you describe him? Jenny Jurek: I saw him train for Leadville in 2013, I’ve seen him do these 24-hour races, but I don’t feel like those things get him up and out of bed…When he did the Appalachian trail, I saw real joy. He was having fun. 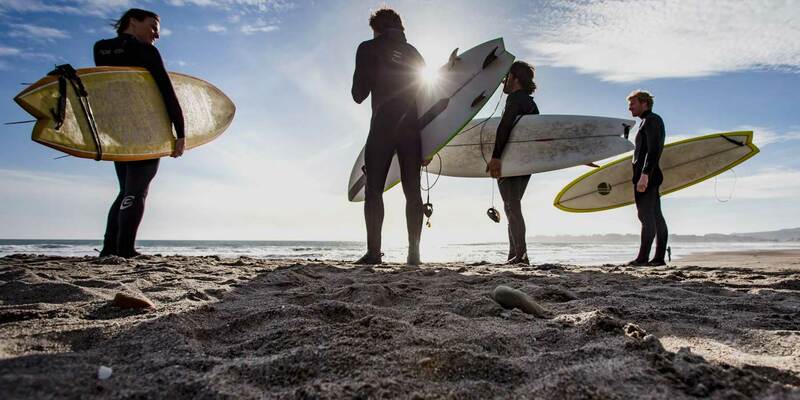 He still has this hunger for adventure, but it’s not through racing. I feel like he’s discovered everything about himself and his body through racing, and now he wants to see other places and test different limits. SJ: I love to inspire. I’m speaking to a middle school and high school next week, and those things get me fired up about running. JJ: He likes running with his friends. Not really for the sake of a personal best. 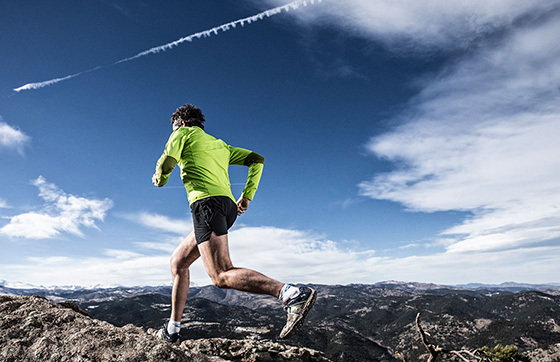 He just enjoys running simply, without an agenda right now. He’s also such a nurturer. He loves to do yard work, cook, do home projects, work on the van. We go on trips, getting out and exploring. SJ: While I think you can be competitive in middle life ... You can still find that thing that sparked your fire years ago, but I think breaks from being competitive are good. That’s given me perspective in finding what’s important to me. Finding those things that spark that fire. Sometimes it’s going on a group run and hearing the story of one of the runners telling me they lost 100 pounds, changed their life from reading my book, or been inspired by me or the sport of ultramarathon, or been inspired to eat healthier. It’s not that it’s giving me an ego boost, it’s that running can make a difference in inspiring people’s life. SJ: I wish I could tell everybody: I’m gonna do X, Y and Z. I have a couple of ideas ... a couple of things on my life list to do, but I’m also just trying to let the Appalachian Trail digest. I’ve been working on a book about the AT. I’m letting it just kind of settle right now. I definitely have days where I’m looking at maps, or reading books, and I feel ready to start looking for what’s next. But I guess I’m a little slower that way; I don’t know if it’s being wiser. I just kind of step back, think about it, figure it out. And doing the AT was really tough for Jenny. I have to think about the demands involved for us, our friends, but I loved it. I’m in the inspiration phase. I’m open to something new. I’m on the slow burn in figuring out what’s next. Something with a different twist is what’s more important for me. I know it’ll be hard, that’s just the nature of these things, but it’ll just have a different twist. Something new. What do you hope people appreciate about you? SJ: I would hope that people think I’m authentic, and relatable. I don’t look at myself as this super special human being. I didn’t come from a super athletic family. I don’t have the greatest genes. I still think you can get anywhere in life with dedication, hard work, commitment. Sometimes you need a little luck. You need things to fall in the right place. Also, maybe that I choose different paths…Like, should I do Badwater [a 135-mile road race], when I could stick to trail running? Being open to possibilities, like choosing to follow a vegan diet after growing up in north Minnesota. I take paths that aren’t the clear path or the easiest path.